Bacolod City is the capital of Negros Occidental. It is known as the City of Smiles because of the annual Masskara Festival. It is also a land of sweets not just because of the soft and sweet accent of the locals but because of the vast plantation of sugarcane or tubuhan. Because of this, you can indulge your sweet cravings in Bacolod. 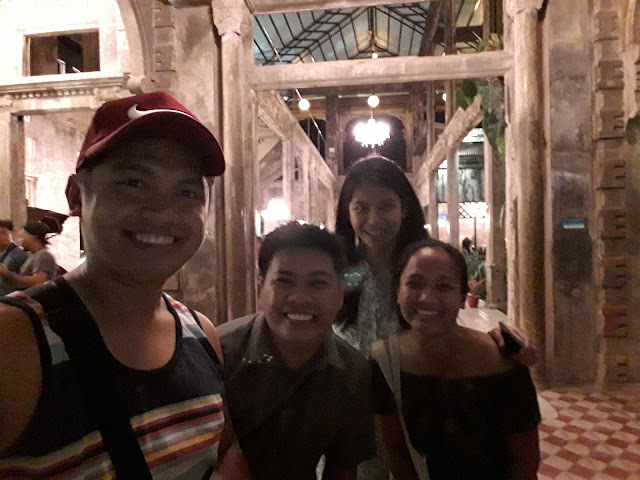 When you go to Bacolod, you must go out of the city to maximize your stay. In Metro Bacolod alone you can visit and experience a number of attraction. Metro Bacolod is compose of Bacolod City, Silay City and the City of Talisay. In Silay City, where the airport is located, there are tons of ancestral houses open to visitors. In Talisay, or City of Talisay, is where the most important landmark of Bacolod is located - The Ruins. Bacolod City of course is the hub where everything is located - the Capitol, Church, Parks, Malls, Boutique restaurants, hotels and a lot more! 40 to 60 minutes away from Bacolod City is Murcia where Mambukal Falls is located and an hour away is the mountainous Don Salvador Benedicto where you can do road trip under the pine trees. 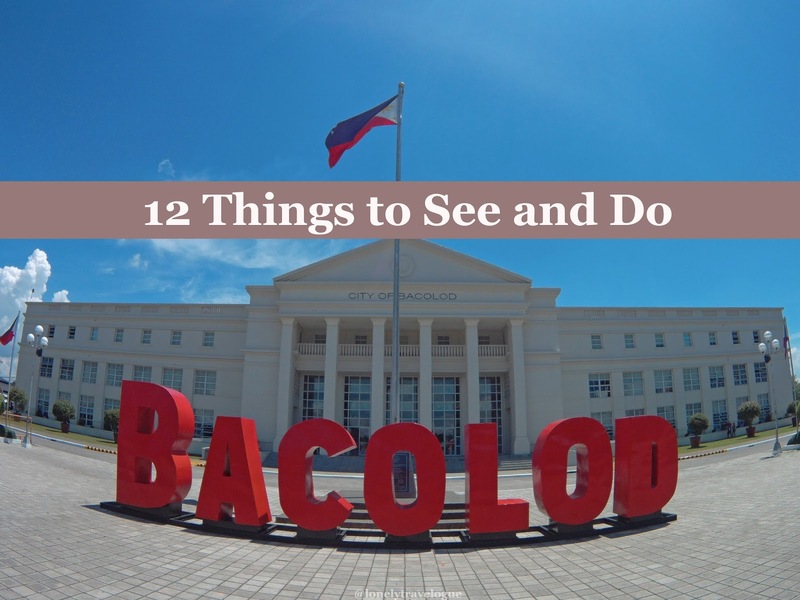 Here are the things that you can do in Bacolod. The Ruins, in the City of Talisay is one of the most fascinating ruins in the world. This ruin was the mansion built by Don Mariano Ledesma Lacson for his late wife Maria Braga. Because the Ruins is fascinating, they also have a fascinating and jolly guide named Roger. I must say that you should meet him and join his tour. He tells story about the family the ruins in the most fascinating way. His pickup lines will make you laugh all the way to the end of the tour. Best time to visit the Ruins is at 5:30 to 6:00PM where you still have a view of the Ruins at day light. Stay until 7:00PM to see the magic of the Ruins. 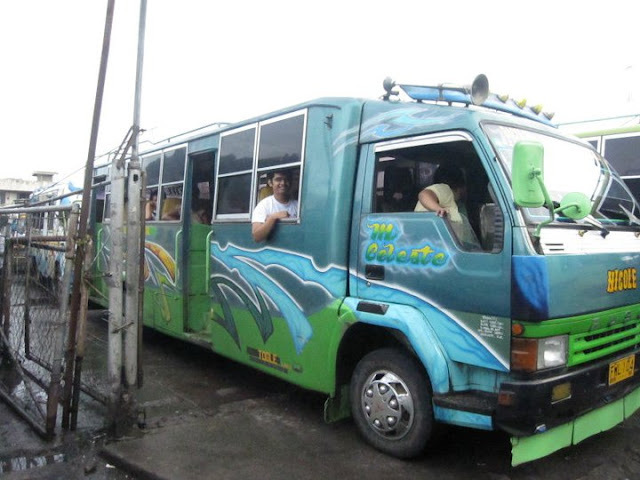 How to go there: From the city take the Bata route jeepneys. Tell the driver to drop you in the tricycle terminal going to the Ruins. Tricycle is only Php7. If you stay at the Ruins until night, there are tricycle outside waiting for you. They charge Php30 each. Negros Occidental Capitol Building is one of the most attractive in the Philippines. The American era building is a tourist attraction itself. In front of the capitol building is the Lagoon. Usually, public programs are held at the Lagoon park. Locals also stroll around the lagoon for the afternoon walk with their pets or with their rubber shoes for a jog. How to go there: Its in the center of Bacolod! The Capitol is along Lacson, the main road in Bacolod. To go there take the Bata route Jeepney. At the back of the Capitol Building is the Negros Museum. For a minimal fee you'll have a guided tour. It is important to have a guide to understand Bacolod and Negros. The collections inside the museum are antiques donated by the most influential family in Negros. On the second floor, there is a replica of a train which was used by the sugar mills to transport sugarcane. At the basement of the museum is a toy collection from around the world. How to go there: The Museum is at the back of the Capitol Building. NGC or the New Government Center is where the city hall of Bacolod is housed. The site also houses different LGU offices. NGC is minutes away from the center. The architecture and the mega sized-round fountain in front of the city hall is enough to put this on the list. How to go there: Take a Homesite-Central Market jeepneys. The baroque style church was completed in 1882. It is interesting to know that San Sebastian Cathedral is made of coral stone. At the heart of the city are business, schools, govt offices and church. But a city is not a city without a breathing space. Bacolod Public Plaza in front of San Sebastian Cathedral serves as the breathing space for the people. A walk in the park especially during the morning or afternoon will relax and rejuvenate you. The tower was built to commemorate the visit of Pope John Paul II to Bacolod in 1981. Climb the seven-story tower and you'll get to enjoy the view of some of Bacolod's landmarks such as the Pier, Church, SM City and the Baywalk. How to go there: Pope John Paul Tower is at the back of SM City Bacolod. Silay City is also known as the "Paris of Negros" because of its heritage houses. No doubt you'll walk down in time when you visit some of the old houses converted into museum. Some of these houses are Balai Negrense, the Pink House and the Hofilena Heritage House to name a few. Silay is part of Metropolitan Bacolod which includes Bacolod City, Talisay City and Silay City. The airport is located at Silay so you can either do your travel in time before you proceed to downtown Bacolod or before you go back to Manila. How to go there: Take a bus in Bacolod City North Bus Terminal going to Victoria City or Escalate City. Travel time should be less than an hour. Fees: Taking pictures outside of the houses is free. There is a minimal fee however, when you enter some of the houses. Entance Fees ranges from Php50 to Php60 guide included. Grab your backpack, hail a bus and take the scenic route to Don Salvador Benedicto - the mountainous town of Negros. What makes this road trip different is that aside from the picturesque view of Mt. Kanlaon, you'll drive along the vast sugarcane plantation of the province. You can go down in the middle of the ride, if you have a private car or motorcycle at least, and take a picture with the sugar cane. Don Salvador is the relaxing place for the rich and the famous in Negros because of its cool climate. Along the road, you’ll see hundreds of pine trees beautify covering the highway. It’s a very scenic ride. You can also do some stop overs and buy fruits at a very affordable price. Beside the marker of Don Salvador Benedicto, we were able to score 2 pieces of marang for only Php100. How to go there: Take a Ceres Bus in Southern Bus Terminal. Ordinary bus cost Php100. It will take you 2 hours to reach DSB when you ride the public bus. If you have a car, DSB is just 30mins. The 7 tier waterfalls in Mambukal Resort is a favorite destination among the locals and tourist in Bacolod. It features a seven waterfalls, a hot spring, a swimming pool and a park for all ages. When you decide to visit Mambukal, you should allot a day or at least 3/4 of the day in Mambukal including the travel time from and to Bacolod City. How to go there: Take a jeep going to Libertad and tell the driver to drop you in the bus station going to Mambukal. Take a cool bus going to Mambukal Resort. Travel time is approximately 1 hour. 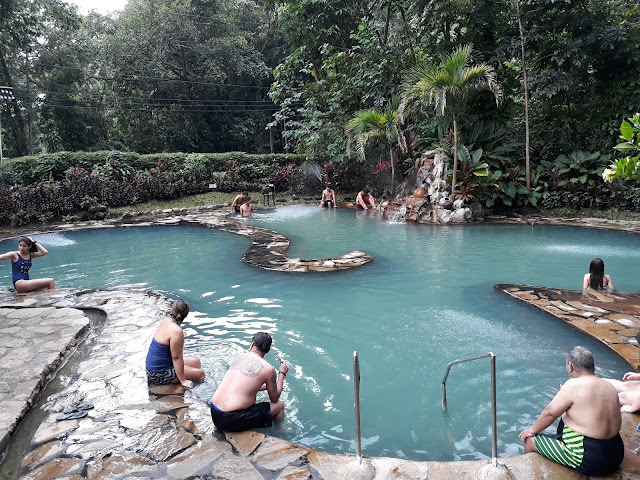 Fees: Entrance Fee in Mambukal is Php50 per pax while Hot Spring is Php100 per pax. There is no fix rate for the guide when you climb the into the waterfalls. Its up to you how much you will give. Buying pasalubong or present to your love ones back home is part of the Filipino custom. We want to bring home part of our experiences or a piece of the place we have visited. Bacolod is one of the best place to buy pasalubong because they are very organized and affordable. Sweets are the sweet treat back home. It is very affordable in Bacolod because it’s a sugar land. When you buy in Merczi’s or Bong Bong’s they will put it in a box when you exceed Php300. In Merczi's you'll have a 10% discount when you present your ticket back to home. Both Merczi's and Bong Bong's has a branch in the airport. Bacolod is a haven to those who love to eat, especially sweets. The chicken inasal that we occasionally crave here in Manila is originally from Bacolod or at least in the region. Manukan County offers tourist delicious inasal. And of course, sweets like cakes and pastries are abundant in Bacolod. For sure, you'll enjoy Calea's chocolate cake and White Cheesecake because its heavenly! Bacolod is a tourist haven. It covers nature (Mambukal), History (Silay City), Architecture (NGC and Capitol), Food (or course) and even Road Trip (DSB)! Be sure to bring an empty memory card and fully charge battery when you visit Bacolod. It will be a travel of a lifetime. It is a place where you will keep going back of the laid back-city atmosphere. And for sure, you'll go back because of the food! 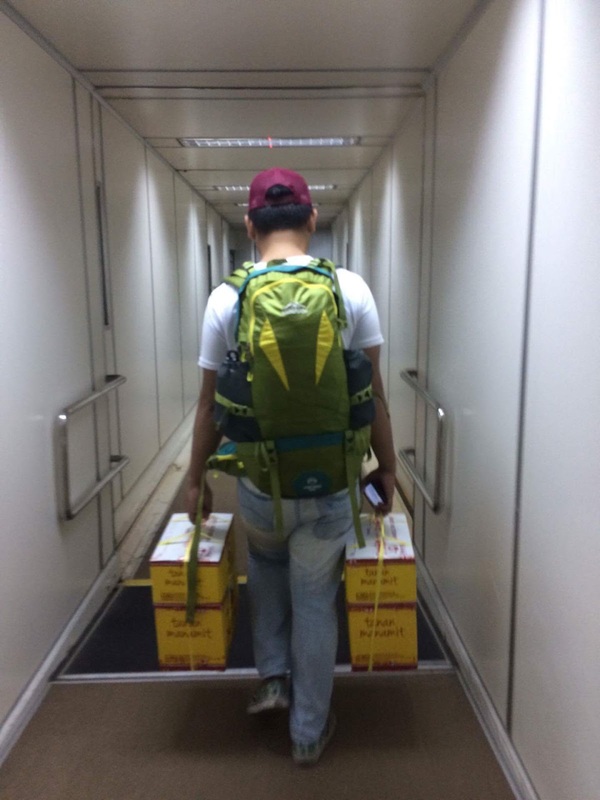 Via Plane: Bacolod-Silay International Airport is the gateway to Negros Occidental. Philippine Airlines and Cebu Pacific has a frequent flight to Bacolod City. Once you arrive, there are vans going to Bacolod City or Silay City when. Fare is Php100 to Php150. Note: When you fly back to Manila, be sure to prepare Php200 terminal fee. Airlines is not yet including this when you book your ticket from Bacolod to Manila unlike your Manila to Bacolod ticket. Ceres Southbound Terminal plying the route to Dumaguete. AC bus to Dumaguete is Php350. Travel time is almost 7 hours. Via Boat: One of the most popular side trip destination when you visit Bacolod, or it can go the other way around in Iloilo or Guimaras. Ocean Jet, Weesam Express and Supercat has an hourly trip to and from Bacolod. Fare is Php250 to Php350 plus Php30.00 terminal fee.